NABTEB (National Business & Technical Examination Board) is popularly known for her O-Level Exam but little or nothing is known about the NABTEB A-level examinations . NABTEB conducts two A-level exams ANBC and ANTC respectively. NABTEB is one of the examination bodies set up by the Federal Government in 1992.NABTEB involves technical and trade-related courses. The board conducts the National Technical Examination (NTC), National Business Certificate (NBC) and their respective advance level examinations (ANBC and ANTC). NABTEB A’ Level Examinations (ANBC & ANTC) can only be taken or sat for by candidates who have gone through intensive Advanced Level lectures in their various institutions. ANBC & ANTC certificates are equivalent to OND, NCE, and so on. Thus, with NABTEB A’ Level Certificate, in the Labour Market, an applicant is placed on level 5 (especially in the civil service). Like we earlier said, NABTEB A-Level is an advance level of NABTEB O-Level.It is also important to state that the significance of NABTEB A-Level cannot be over emphasised. By passing through NABTEB A-Level programme, you will graduate as a technician and it can afford you the opportunity to secure junior level position (level 5) in different technical areas. 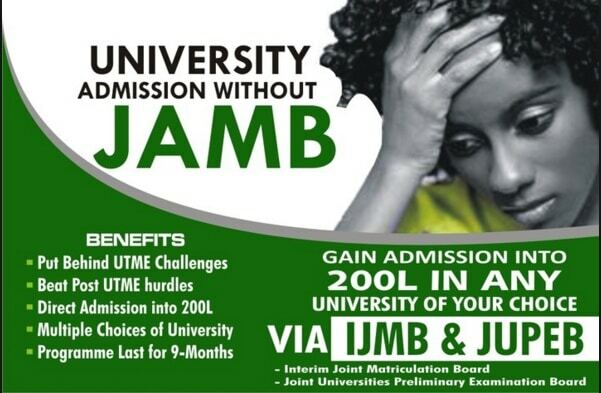 If you wish to further your education, NABTEB A’LEVEL is listed as one of the direct entry requirements by jamb for admission into 200level to study a desired course in as much as the course is a business related or technical related course. The programme is run within a year(8-10months). The Basic Qualification for Enrolment is a minimum of five (5) Credit Passes at the Senior Secondary Certificate (SSCE) /General Certificate of Education (GCE) Ordinary Level in subjects relevant to the desired university programme or course of the student’s choice.